Good things come in small packages goes the saying. Nowhere is that truer than in the markets where stocks under $10 grow to be $100 and possibly even $1,000 over time. A classic example is Amazon (NASDAQ:AMZN), which traded under $10 in November 2001, hit $100 in October 2009 and above $2000 in August 2018. On both occasions, it took approximately eight years to achieve cumulative total returns of 900%. For anyone who’s held AMZN stock for the entire 18-year period, I salute you because a $10,000 investment today is worth just shy of $2 million. Sought bankruptcy protection in May 2016. Acquired by two mall owners for $243 million in September 2016. Ok, so my five picks had a few bumps in the road, but that’s going to happen with stocks under $10. A glutton for punishment, I’m going to do it again. Only this time I’m picking ten stocks, not five. I might be going to the well once too often picking Arcos Dorados (NYSE:ARCO), the largest franchisee of McDonald’s (NYSE:MCD) and a major player in the Latin American restaurant industry, but I just love this company. In January last year, I recommended ARCO as one of three restaurant stocks to buy in 2017; it gained 92% in 2017 on the heels of a 74% gain the year before that. McDonald’s is facing tougher market conditions at the moment and that’s got analysts a little concerned in the near-term, but over the long haul, Arcos Dorados is in an enviable position. 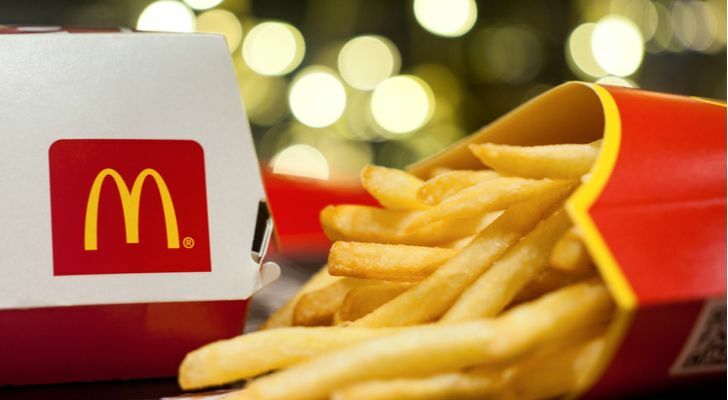 “While we are cautious on MCD in the near term, we believe the chain has ample opportunities to course correct and re-accelerate SSS growth in the coming quarters,” wrote RBC Capital Markets analyst David Palmer in a note to clients. 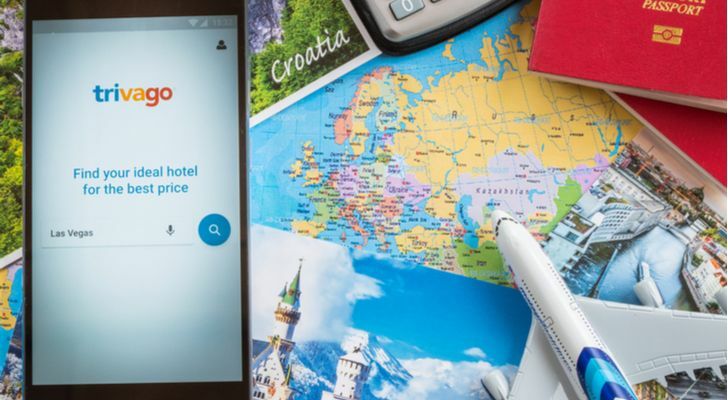 If you didn’t know who Trivago (NASDAQ:TRVG) was a year ago, you probably do now, given how much advertising the hotel comparison site’s doing to spread the word. While Trivago is still growing — revenues grew by 37% in 2017 — it is still losing money. However, on the plus side, it was able to cut the loss by almost 75% in the past year, providing hope to investors that it will deliver GAAP profits in 2018. I like its chances to break through $10 by the end of the year. I figure if I’m going to pick the ten best stocks under $10, being Canadian, at least one of my selections ought to be based north of the border. Algonquin Power & Utilities (NYSE:AQN) is an Ontario-based diversified power generation, transmission and distribution utility with CAD$10 billion in total assets. 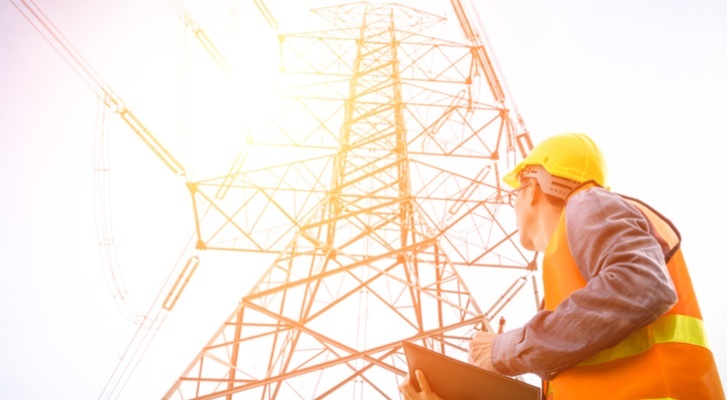 It operates two primary businesses: Liberty Utilities, which provides rate-regulated natural gas, water and electricity to over 785,000 U.S. customers; and Liberty Power, which generates renewable power from wind, thermal and solar energy. Thanks to tax reform, the company feels it will be able to grow its rate base at a faster pace than it otherwise would have been able to do before the December 2017 corporate tax cut. Acquisitions over the past year have helped the company grow. First, in January 2017, it paid $2.4 billion to acquire Empire District Electric Co., which has 200,000 customers in four states. Then, this past November, it entered into a joint-venture partnership with Spanish utility Abengoa SA to develop renewable energy projects around the world. As part of the agreement it acquired a 25% interest in Atlantica Yield PLC from Abengoa; Atlantica Yield operates renewable energy facilities in Europe, Africa and South America. Going global will pay dividends, literally and figuratively, in the years to come. A lot is going right for Sirius XM (NASDAQ:SIRI) these days, pushing SIRI stock to recent 52-week highs; yet it still only trades between $6-$7. A big highlight from the satellite radio company’s fiscal year was the addition of 1.56 million self-pay subscribers in 2017, 160,000 higher than its projections, bringing the overall total to 27.5 million. Another notable highlight was the Trump tax cut, which is expected to add $900 million in operating cash over the next four years. And if that wasn’t enough, Sirius XM’s board approved a $2 billion increase in its share buybacks as well as a 10% hike in the dividend. While you’re not going to buy SIRI for the dividend, the company is trying to increase the rate at which it rewards shareholders. When you generate as much free cash flow as SIRI does, it’s only natural that share repurchases and dividends are a part of its capital allocation program. SIRI could be my favorite large-cap stock under $10. India is one of my three favorite emerging markets; Brazil and South Africa being the others. Canadian financier Prem Watsa has done very well in recent years by investing in the country where he was born. Watsa is considered the Canadian version of Warren Buffett. In July 2017, Watsa’s company, Fairfax Financial (OTCMKTS:FRFHF), terminated its joint venture with ICICI Bank (NYSE:IBN) after 17 years to carry out the IPO of ICICI Lombard General Insurance Company, itself a joint venture between the two companies. I believe that India will continue to grow at a faster rate than the emerging markets as a whole. Owning the largest private sector bank in India is a good proxy for benefiting from that growth. Talk about your global real estate company. Based in Tel Aviv, Gazit Globe (NYSE:GZT) owns properties in Israel, U.S., Canada, Brazil and Europe; its stock trades on three major stock exchanges: New York, Toronto and Tel Aviv. It’s about as internationally diverse as they come. Its best-known investment here in America would probably be its 11% ownership interest in Regency Centers (NYSE:REG), a REIT with 59 million square feet of retail space with 80% of its 426 centers anchored by grocery stores, a stabilizing factor in a changing retail marketplace. I’m more of a fan of Gazit Globe because of its 32.6% ownership interest in First Capital Realty (OTCMKTS:FCRGF), one of Canada’s most interesting retail real estate owners. Not coincidentally, Gazit-Globe director Dori Segal, was CEO of First Capital for 15 years from 2000 to 2015 when he stepped down to devote more time to Gazit-Globe. Segal is one of the most respected real estate people anywhere. Focused on ETPs, WisdomTree Investments (NASDAQ:WETF) has taken a long and very circuitous route from its founding in the 1980s as a finance magazine to where it is today — an ETP provider with $46 billion in assets under management. The company’s stock has performed poorly in 2018, down 21% year-to-date through March 6. As a result, it now trades below $10, a level it hasn’t seen on a consistent basis since 2013. Why the retreat? The quick answer is it missed its Q4 2017 earnings estimate by 3 cents. Bigger picture, things look pretty good. 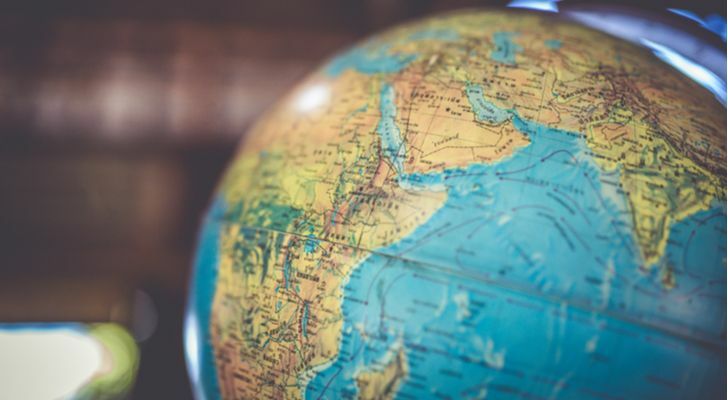 In 2017, if you exclude both the WisdomTree International Hedged Equity Fund (NYSEARCA:HEDJ) and the WisdomTree Japan Hedged Equity Fund (NYSEARCA:DHJ), it had net inflows of $2.9 billion. In the fourth quarter, also excluding DXJ/HEDJ, it had $1.1 billion in net inflows, its strongest quarter in the last five years. In November, WisdomTree announced it was acquiring $18 billion worth of European AUM from ETF Securities. The $611 million cash-and-stock deal, which is expected to close by the end of March, will bring the ETP provider’s global AUM to more than $66 billion making it the ninth largest ETP sponsor in the world. New products and innovations along with future potential acquisitions will help WisdomTree thrive in an increasingly competitive marketplace. Last July, I called BBX Capital (NYSE:BBX) one of the seven best buy-and-hold “holdings” on Wall Street. Since then, it’s up 15%. Previously, BBX shares had gained 45%-plus and were ready to blow past $10 per share. BBX stock hasn’t had a losing year since 2011. BBX Capital is probably best known for its vacation ownership business, Bluegreen Vacations, which operates in a very hot industry. Marriott Vacations Worldwide (NYSE:VAC), the industry leader, has delivered an annualized total return of 25% over the past three years as consumers look to own a tiny fraction of the places they choose to vacation. 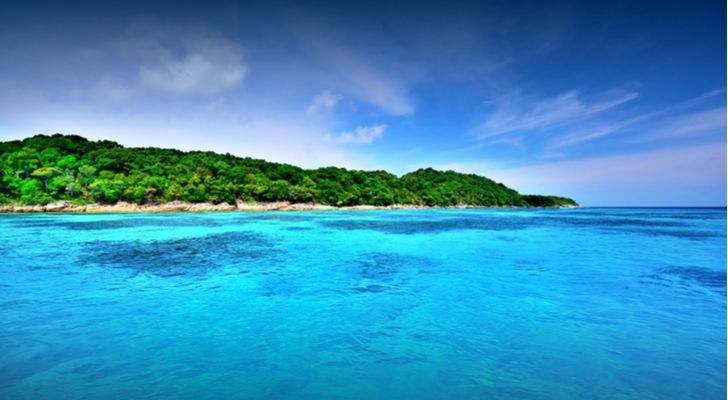 In November, BBX Capital spun-off its timeshare business into its own publicly traded company, Bluegreen Vacations (NYSE:BXG), selling 10% of the company to investors at $14 a share; it’s now close to $20. In addition to its vacation ownership business, it also has a private equity division that invests in middle-market consumer-facing companies such as IT’SUGAR, a candy company it acquired in June 2017 for $57 million. It’s also opening as many as 50 MOD Pizza locations in Florida. Now that Bluegreen Vacations is operating on its own, I’d look for BBX Capital to pick up the M&A pace and burst into the mid-teens. This is a speculative bet all the way, so if you’re thinking about using your retirement fund or your kid’s college fund, don’t. Run away from J. Jill (NYSE:JILL) as fast as you can. However, if you’re an aggressive investor and can afford to lay down a small bet with the full understanding you could lose the entire sum, by all means, take a closer look at it. 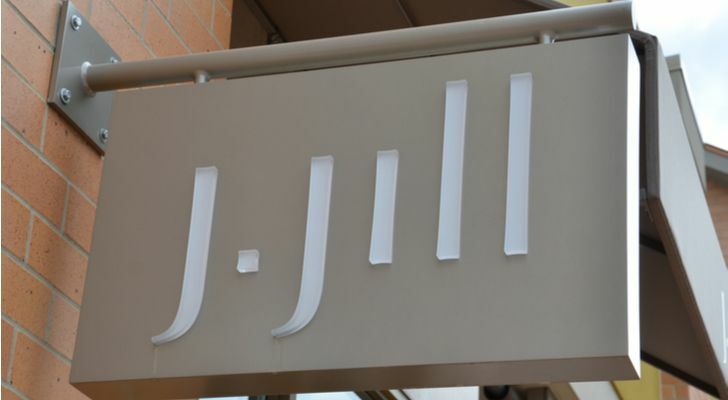 J. Jill was founded in 1959 as an apparel brand catering to women over 40. Fast forward to 2015; it was acquired by TowerBrook Partners, the same private equity firm behind True Religion Brand Jeans, for $400 million. Two years later, J. Jill did an IPO in March 2017 at $13 a share allowing TowerBrook to get back a big chunk of the cash it put into acquiring J. Jill back in 2015. Still, owning 59% of the company, TowerBrook wants to exit with as much cash as it possibly can. Retail holiday sales across the industry were good this past year, so I’m hoping the two-day delay of Q4 2017 results isn’t anything more other than the retailer wanting to get the numbers right. Analysts expect J. Jill to be one of the big retail beneficiaries from the corporate tax rate cut, so that’s a bonus. Bottom line: At $13, JILL stock was probably a little pricey. At $8 and change, it’s got some upside, especially given the extra profits from lower taxes. Business Development Companies (BDCs) aren’t nearly as popular as they once were, but this one caught my attention while writing a piece about the best alternative asset management stocks available. 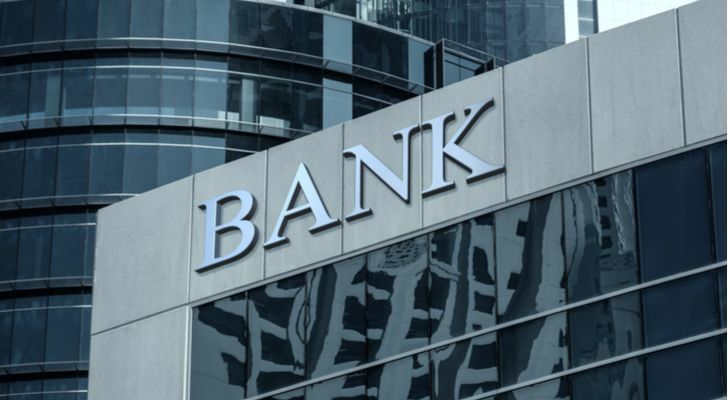 Oaktree Specialty Lending Corp (NASDAQ:OCSL) is managed by Oaktree Capital Group LLC (NYSE:OAK), the alternative asset management firm co-founded by Howard Marks, one of the best investors of our time. 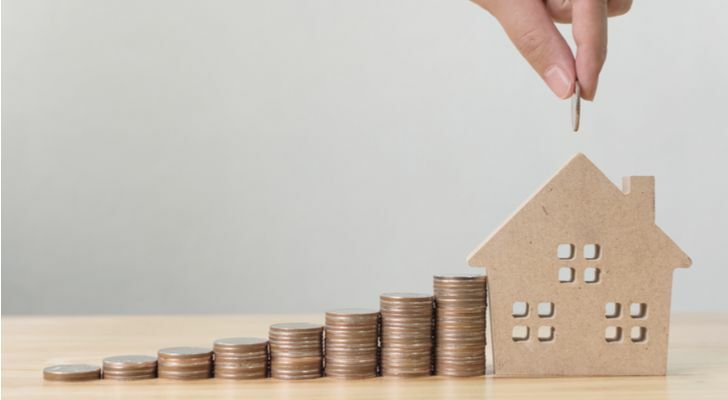 Oaktree Specialty Lending provides first and second lien loans, unsecured and mezzanine loans, as well as preferred equity to middle-market companies across all industries, preferably ones with strong financials. It’s been less than a year since Oaktree Capital acquired Fifth Street Finance Corp. It’s going to take the asset manager time to remodel the 122-company portfolio. At $4 and change, I’m betting Oaktree Capital will turn this around. 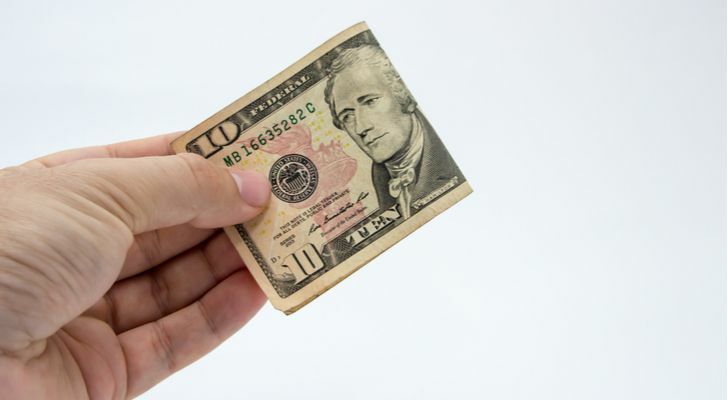 Article printed from InvestorPlace Media, https://investorplace.com/2018/11/cheap-stocks-to-invest-in-under-ten-dollars/.